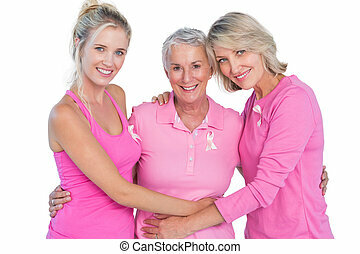 Cheerful women wearing pink and ribbons for breast cancer. 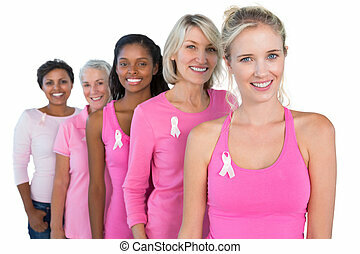 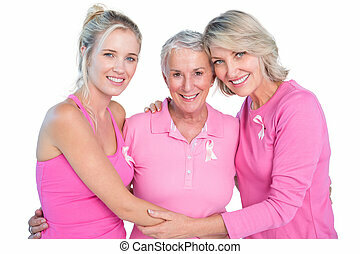 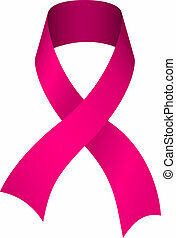 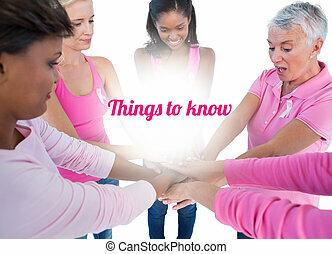 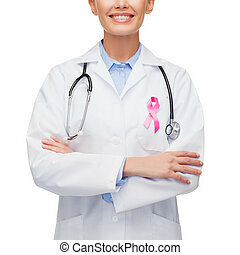 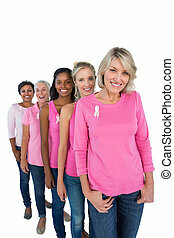 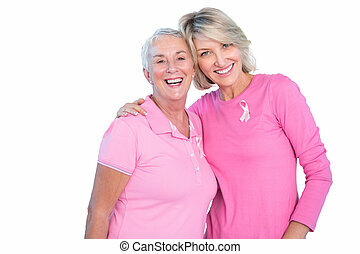 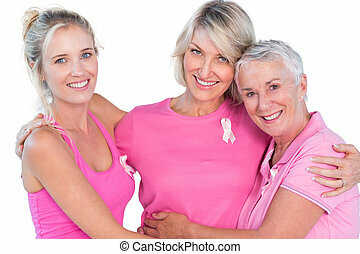 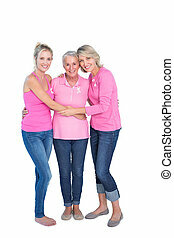 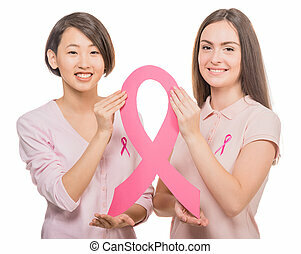 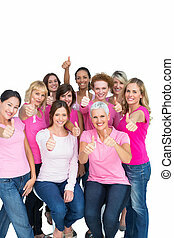 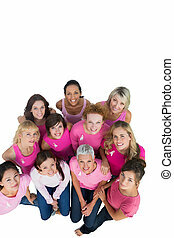 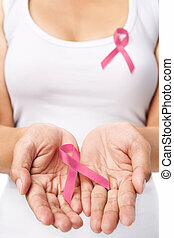 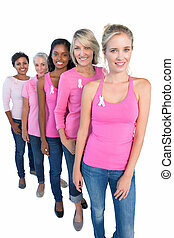 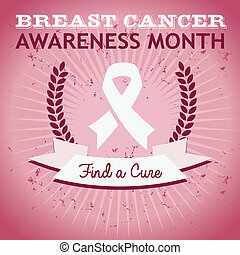 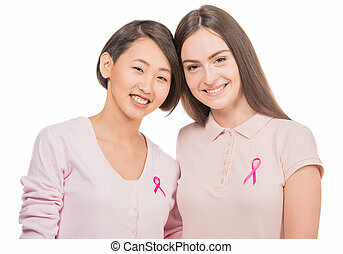 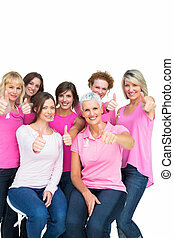 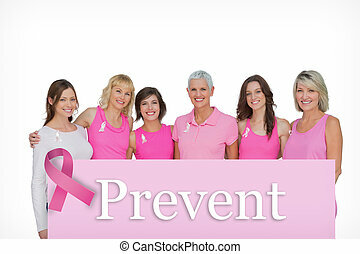 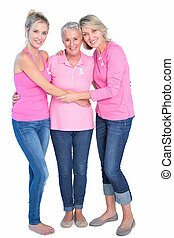 Cheerful women wearing pink and ribbons for breast cance on white background. 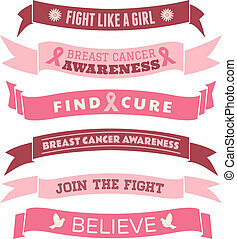 A set of pink Breast Cancer Awareness banners and ribbons isolated on white. 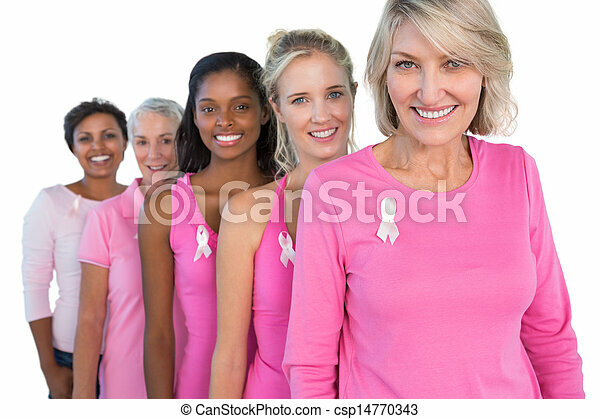 Pink breast cancer awareness ribbon isolated on white background. 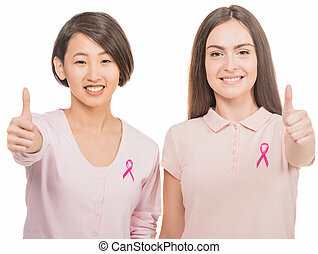 Happy women wearing pink and ribbons for breast cancer putting hands together. 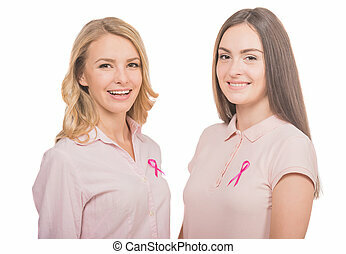 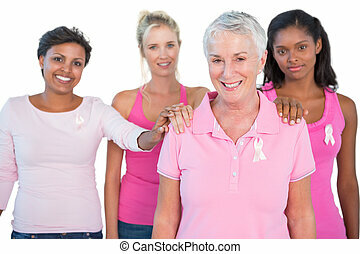 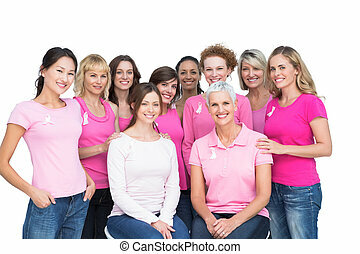 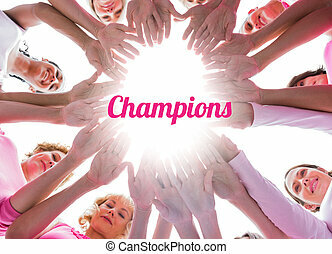 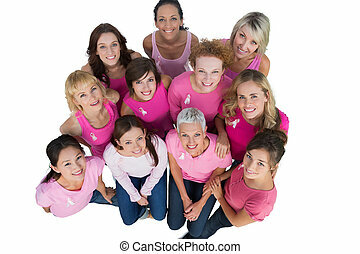 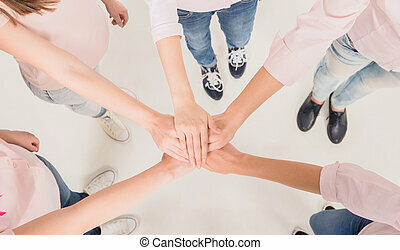 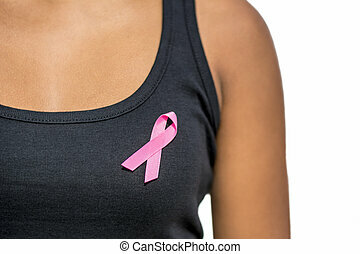 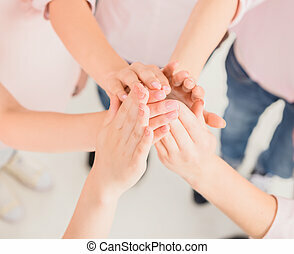 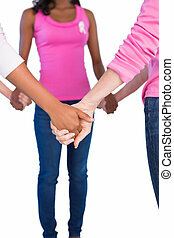 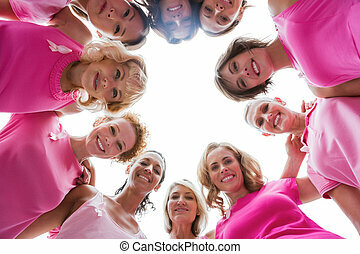 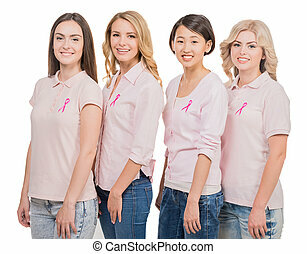 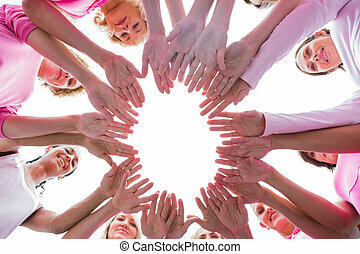 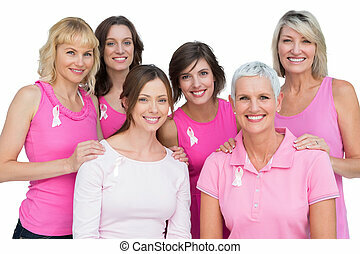 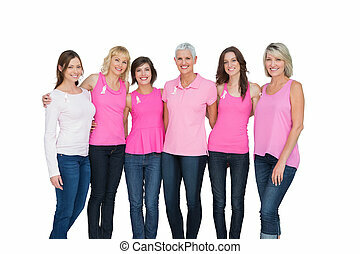 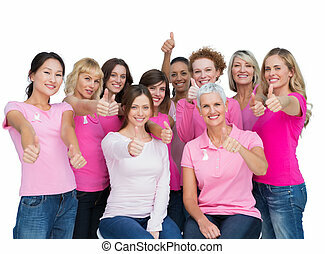 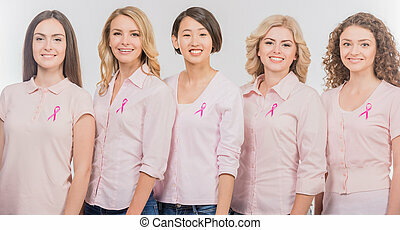 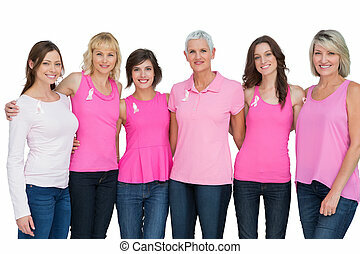 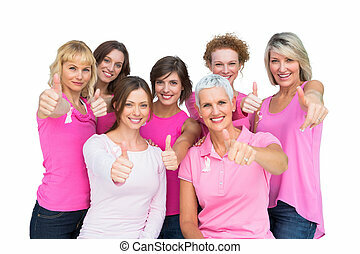 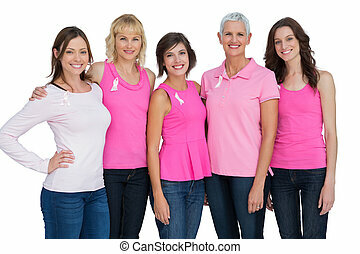 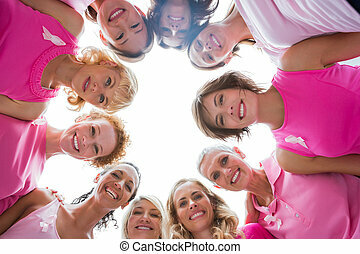 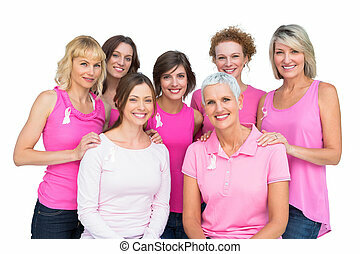 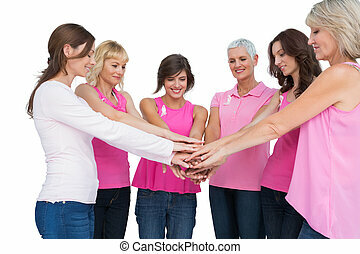 Happy women wearing pink tops and ribbons for breast cancer on white background. 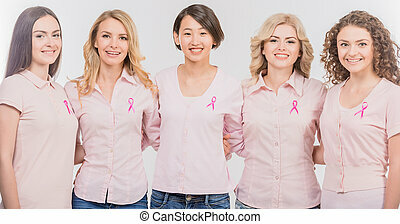 Voluntary cheerful women wearing pink ribbons to support breast cancer campaign, white background.